Live Grateful Dead music will never die. Even today, many years after the death of Jerry Garcia, interest in their music is as high as ever. The Dead left an indelible mark on the world of Rock that will never fade away. I think most Deadheads would agree that the Dead were primarily a live band. By that I mean they performed at their best in front of a live audience. The exchange of energy between the band and the crowd inspired them in a way that the studio simply couldn't match. Even the band members themselves have stated that most of their studio albums don't come close to their live concert recordings. There really was nothing like a Grateful Dead concert and there hasn't been anything like it since 1995. Sure, there's still periodic reunions of the remaining band members. Their tours are certainly enjoyable but it's just not the same without Jerry. Fortunately, the Dead were the most recorded band in history and there's no shortage of live Grateful Dead music to hear. Nearly every show they ever played was documented in some form or another. Reel to reels, cassette tapes, Beta PCM, DATs, soundboard or audience tapes - take your pick. Oh, and don't forget the videos. Deadheads practically invented the art of taping shows and they pretty much perfected it as well. I've been listening to the Dead for nearly as long as I can remember. When I was younger and I first discovered the band's music I used to dream of having copies of every show ever recorded. Their music affected me in a way no other band ever has and I couldn't get enough. But it wasn't easy to find high quality tapes back then. First, you had to know people who had them. Then you had to convince them to make copies for you. If you didn't have anything to trade, this could sometimes be difficult. If they weren't close friends who lived nearby, you had to mail them blank tapes with return postage. Then sometimes wait weeks for them to arrive, wondering the whole time if they would show up at all. Needless to say, favorite tapes became treasures that were often played until worn out. I wanted very badly to hear all those shows that I knew were out there but had no hopes of ever finding them. With the dawn of the digital era all that has changed. My dream has become reality. I never once thought that I would really be able to hear virtually every GD concert ever recorded. However, thanks to the miracle of the internet and file sharing technology like bittorrent, I've spent the last few years amassing an enormous collection of music and video footage. I've benefited greatly from the generosity of a lot of people. They share freely out of pure love for the music itself and this is my attempt to give something back. Generally speaking, this is a GD fan site which will cover all aspects of the band with a particular focus on their live music. Show you how you can get more free live Grateful Dead music than you could listen to in a lifetime. Explain why I still buy almost every official release and why you should too. 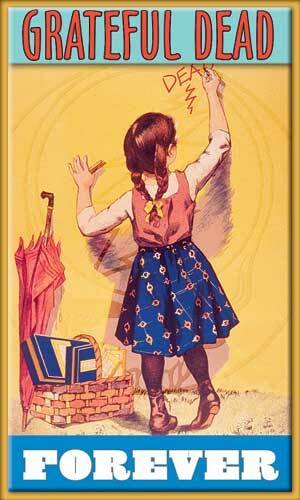 Explore the vast library of books that have been written about them. Review a variety of shows from different eras of the band and recommend listening sources. Discuss Grateful Dead lyrics and provide some for their most famous songs. Recommend favorite versions of each song from different shows. Write about official releases of live Grateful Dead music, both CDs and DVDs. Explore the incredible world of psychedelic art and memorabilia including vintage concert posters, photos and the various images that have become symbols of the band. Give you my personal take on the history of the band and each of the band members. 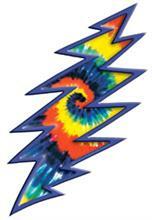 But most of all, I'm building this website to share my passion for live Grateful Dead music with the world. Here's my favorite way to listen to Grateful Dead music online. Here's my review of Rocking The Cradle - The Grateful Dead Egypt 1978 Concerts. 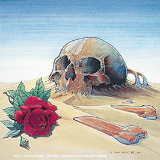 The Grateful Dead Egypt DVD is what really excited me about the latest release from Rhino. Here's my review. Grateful Dead lyrics have a timeless quality to them. Learn more about these incredible songs and the poets that wrote them. 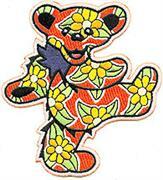 Grateful Dead Mp3 Files - Do You Really Want Them? Here's the best ways to find Grateful Dead mp3 files. But are you sure you want them? 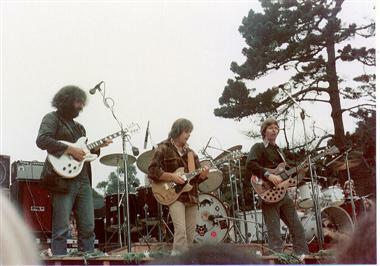 Alphabetical listing of Grateful Dead song lyrics including detailed information on each song. How to find the best Grateful Dead tabs for learning guitar and bass. If you're interested in live Grateful Dead torrents then look no further than these four awesome trackers. Explore the incredible world of Grateful Dead art that adds so much to the band's mystique. Grateful Dead album covers were decorated with wildly psychedelic images. Learn more about the album cover art from records released between '65 and '70. The GD were probably one of the most often photographed bands ever to take the stage. I've included here a comprehensive list of photographers that offer Grateful Dead photos online. The vintage concert posters used to advertise Grateful Dead concerts are some of the finest examples of 60s psychedelic art. 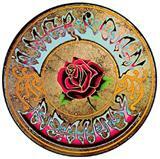 Wolfgang's vault is one of the best places for streaming Grateful Dead music online. Here are some photographers I've found online that offer affordable Grateful Dead pics for Deadheads on a budget. Many of the rock star photos available online are extremely expensive. Here is part two of my article on affordable Grateful Dead pictures for Deadheads on a budget. Many of the rock music pictures found on the 'net will cost you an arm and a leg. Here is the third and final installment in my series on inexpensive Grateful Dead rock concert photos for Deadheads on a budget. Tracing the evolution of Grateful Dead songs through thirty years of live performance. Would you like to share your knowledge about grateful dead? Great, find out how you can submit your story or tip here.